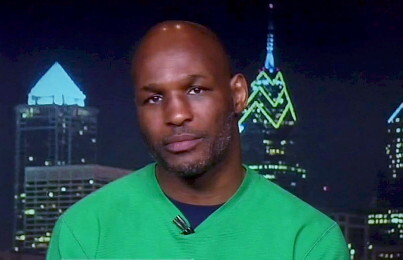 Bernard Hopkins: Will the curtain of his career fall on Nov 8th? By Yannis Mihanos: What keeps 49-year-old Bernard Hopkins going? One thing is certain the IBF and WBA light heavyweight world champion Bernard “The Alien” Hopkins has already booked a place in boxing history. A place that not many and certainly not at this age will enter. Against heavy bomber Sergey “The Crusher” Kovalev (25-0-1, 23 KOs) will have a very tough challenge in their fight HBO Championship Boxing on November 8th at the Boardwalk Hall in Atlantic City, New Jersey. For many, this is the fight that someone would say he has had one fight too many. This is not a simple defense or a tune up fight. Kovalev has proved that in his fights does not forgive with 13 knockouts in his last 14 fights! Of course, Hopkins is aware of that and as an old fox will try everything in his disposal to take Sergey out of his game. That’s the usual way how Bernard wins, he takes all his opponents out of their strengths and comfort zone. I give a lot of credit to Bernard for his will to fight a strong opponent like this because it shows that there is in him a genuine ambition. For some out there the age gap will be the decisive factor in this match. For that I would simply say to put this thought for a moment aside. Hopkins has never lost a training day in his whole career and has kept his body at a tremendous shape. Thanks to his great discipline and willpower. He has certainly not run out of desire to achieve. For some others, power will be the decisive factor in this fight. Again, it remains to be seen how hard the punches of Kovalev will feel in the face and in the body of Hopkins. If Hopkins can take the impact then I think he is the favorite to win. If not, then I see darkness falling for Hopkins. So far never in his 30 year old career has been stopped through a KO. But never say never. Hopkins is a great technical fighter who knows well how to win title fights on points. So will the curtain of his great career fall on November 8 at Boardwalk Hall in Atlantic City, N.J. or another new chapter will open? Boxing » Bernard Hopkins » Bernard Hopkins: Will the curtain of his career fall on Nov 8th?